Allan R. Nelson Engineering > Blog > Events > Come Join Us! We are getting excited for our Edmonton Meet and Greet next Wednesday! 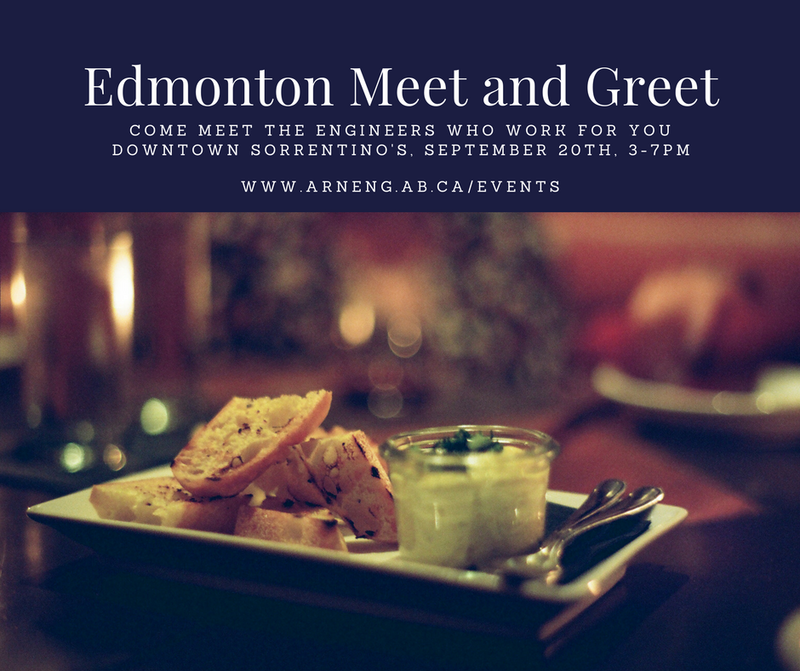 Please come out to meet us at the Downtown Sorrentino’s, 10162 100 St, from 3-7 pm on the 20th of September! We would love to meet you! You can RSVP on our Events page, or just show up, we’re happy to have you there! It’s going to be a fun time, don’t miss it!